Monday, September 1, 2014—Crestview Hills, KY—After a whirlwind couple of days, Ragnarok Publications is pleased to announce that their newest anthology, BLACKGUARDS, has been funded on Kickstarter in just a bit over 64 hours from launch, reaching its goal of $14,500. 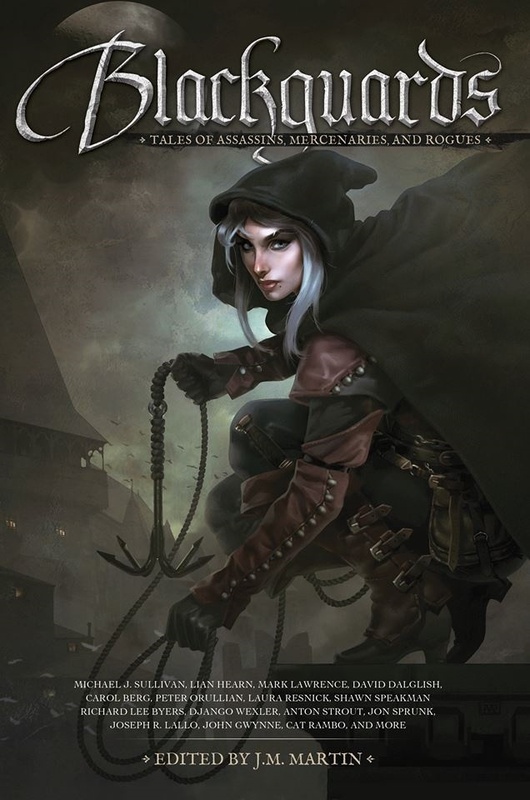 Blackguards: Tales of Assassins, Mercenaries, and Rogues, edited by J.M. Martin, features top notch authors from fantasy literature such as Mark Lawrence, Carol Berg, Michael J. Sullivan, Django Wexler, Anton Strout, Richard Lee Byers, and many more. 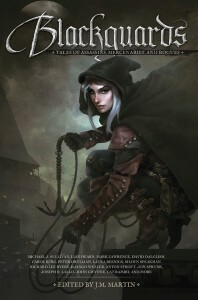 To boot, all of the tales feature favorite characters from the authors’ existing series, which is leading to palpable excitement from readers. They aren’t the only ones intrigued by this anthology. Within the first few hours of launch, Blackguards became a Staff Pick at Kickstarter and was featured on their front page. Over on Kicktraq, the #1 crowdfunding analytics and discovery website, Blackguards has been consistently ranked number one on their publishing Hot List. Ragnarok Publicationsis no stranger to what makes a successful crowdsourced anthology. Last year they had a successful Kickstarter for their anthology Kaiju Rising: Age of Monsters, edited by Nick Sharps and Tim Marquitz. After being funded and fulfilled, the paperback and electronic editions of this anthology are now available in paperback from Amazon and other retailers. Blackguards seems to be following in its predecessor’s large footsteps. What is Ragnarok’s magic touch? The journey isn’t over for the Blackguards Kickstarter at the time of this article. With several weeks left, backers still have opportunities to get eBooks, paperbacks, and hardcover volumes, as well as attain exciting stretch goals yet to be reached.